There's no doubt that Doctor Who is as much an English institution as fish and chips and inclement weather. Its influence has reflected on many generations, but what has influenced Doctor Who? Like James Bond it needs to conform to certain strict criteria. There can be next to no character progression, except perhaps to recall and learn from past events. 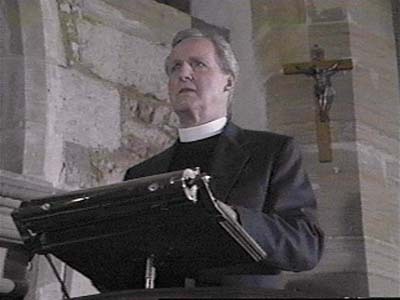 The Doctor's reaction to new and even hazardous situations is childlike wonder or, on occasion, religious reverence. Ah, now there's something... Passive religion has had a profound, though referred, effect on the programme's history. Let's begin with Time Lord society, which appears to be based heavily on ceremony. 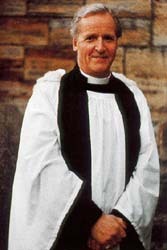 Elaborate robes, hierarchically divided according to school-house-like chapters and designations, along with regalia and an air of serene superiority are surely connections to the church. Having discovered a manner in which to traverse time, they now see themselves as lords over it. They have strict laws of time and a policy of non-intervention in the affairs of other societies, which could be said to be a Godlike wisdom of allowing people to learn from their own mistakes (though they think nothing of unleashing the odd bolt of lightening: removing someone from existence itself, forcibly regenerating the Doctor, or even the attempted termination of him to save themselves). 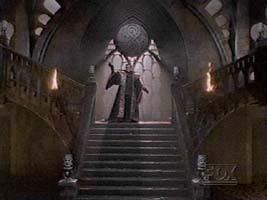 The Black Scrolls and The Ancient Law of Gallifrey contain "forbidden knowledge" of the dark times; forbidden because no society wants to remember its failures. So they exist as a reminder to only the elite, like the downbeat sections of The Bible which seek to investigate the dark side of the human psyche. In fact, it was rumoured at one time that an earlier form of what became known as The Bible existed in the Vatican. 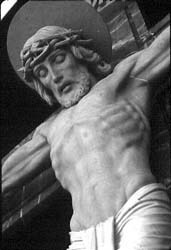 It was said to conflict drastically with the later writings and contain such horrific events that it was not fit for the world, religious or otherwise, to behold. Everyone likes to be frightened, say the experts; it's good for the soul. The horror element is an integral part of the Doctor Who mythos, but like all monsters they are only original reflections of the legends of ancient cultures and perhaps one of the oldest horror books of all (whether it be truth or fiction), Revelations, from The New Testament. Aside from the Doctor, there are a few other so-called renegade Time Lords. 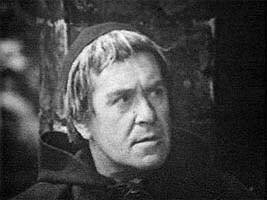 One such example is the Monk, played by Peter Butterworth in two William Hartnell stories, The Time Meddler and The Daleks' Masterplan. As the character's motives are far from religious it can only be assumed the robes were worn to enable him to more readily infiltrate and manipulate the peoples of religious societies. His robes of false-office allow him to come and go, unchallenged, from an empty monastery. Such is the church's status in this time-line that he is actively aided by the locals. 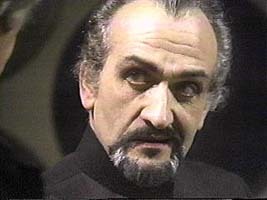 Before the backdrop of Time Lord society had been established on screen, the War Chief was seen as a reckless, argumentative antithesis of the official Time Lords themselves, who serenely acted as self-appointed judge, jury and executioner, even though they were said to have that non- intervention policy. If a classroom full of obedient zombies has one individual who is prepared to question what is being taught, then is that student viewed as being a disruptive influence or an original thinker? Clearly, we are steered towards believing the former of the War Chief - for good reason - and the latter for the Doctor, although they are somewhat similar in their unorthodox methods and treated as such by the self-important Time Lords. It's indicative of the power the church once commanded, even to the detriment of royalty, and the influence from the past it retains to a lesser extent today. When the Master entered the picture only a couple of years later, his mannerisms were gentlemanly in all but his aspirations. Aside from the formal exterior lending greater effect to his inner intent, it was also a throwback to that strict formal society. Witness the third Doctor's harbinger of doom in Terror of the Autons, looking for all the world like a city toff. In fact, Hartnell's and Pertwee's portrayals are much more in keeping with that formal bearing: the air of no-nonsense authority over pompous bureaucracy being tantamount to the reason why the Doctor escaped the confines of Gallifrey in the first place. Class is the obvious link to western culture religions here; even a lowly priest in the middle-ages enjoyed certain courtesies and privileges. The interior of the Doctor's TARDIS in the series is generally clean and brightly lit, almost to the point of purveying a sterile atmosphere. Its inferred vastness is cathedral-like, as evidenced in the fourth Doctor story, The Masque of Mandragora, wherein Sarah Jane catches a glimpse of the boot cupboard. This cathedral architecture is prominent in the Paul McGann TV movie, even to the point of stained-glass windows. The central column of the time rotor descending from the high ceiling exaggerates the grandness, as does the plainly monastic look to the TARDIS library. Temporal grace, a particularly religious term, prevents weapons being discharged inside. This reflects from the church's preaching of pacifism, which is ironic as more wars through history have raged in the name of religion than anything else, barring perhaps land itself. There are cloisters, as evidenced in Tom Baker's final story, Logopolis, and a cloister bell which chimes as a portent of doom in the same manner as a church bell once signalled a journey to the gallows. The TARDIS can travel to any point in time and space, which in my book is the closest a person can come to omnipotence; to travel to different time periods and not be affected by its passage you must surely have to be outside of time itself, a godlike position. Although reluctant to open a veritable can of worms by relating a popular family-viewing televisual experience to the teachings of the Bible, can there be any greater compliment than to compare such a successful and workable premise and expanding format to the greatest story ever told? Most significantly, let's turn to the character of the Doctor himself. The most remarkable trait is his Time Lord ability to regenerate his dying body (reincarnation, anybody?). Twelve regenerations (that's thirteen bodies) are possible, and whilst not being true immortality, a careful Time Lord could conceivably live for thousands of years. The seventh Doctor was over 950 years old, and you could hardly call him careful! The Doctor always sides with the underdog against oppression in the face of great adversity. This is exactly what Jesus Christ achieved, and like Jesus the Doctor has the charisma and conviction to walk into a situation and instantly command attention, gaining converts to his pleas for justice - the former under constant threat from the military might of the Roman empire, and the latter amidst mad scientists and alien invaders. A first Doctor historical adventure was set at the time of Roman dominance. Although no one noted it at the time, the generally light- hearted direction of the story retrospectively prevented any comparisons being made (except by me, of course!). Admittedly Roman influence was wide-spread and spanned many years, but it's worth pointing out nonetheless. And talking of Romans, the paragon of "When in Rome, do as the Romans do" doesn't appear to be a code of conduct as far as the Doctor is concerned. Time Lord arrogance again? Self-preservation in the face of forced sacrifice to some unknown deity is one thing, but we have witnessed many pagan-like rituals being played out in Doctor Who, and our hero always attempts to avert the so-called "atrocities" rather than accepting that this is their everyday way of life... their beliefs. It is the age-old trap of one religious order trying to stamp out another, rather than accepting a difference of opinion and getting on with life. In the same manner that some sceptics might write off miracles as illusion or technological wizardry in the face of anachronism, the Doctor has managed many death-defying manoeuvres. Jesus was seen to have died on the cross, and yet pulled off the greatest escape from a sealed tomb, to be seen alive again later by witnesses. The Doctor has often seen to be dead, only to be saved by his increasingly astonishing physiognomy: two hearts, a respiratory by-pass system, the ability to lower his heartbeats considerably and even enter a self-induced healing coma. As for the disappearing act, well, TARDISes are supposed to contain a chameleon circuit enabling them to blend in with their surroundings, thereby rendering them invisible to the untrained eye. It's almost as if Doctor Who creator Sydney Newman and his subsequent associates sought to logically rationalise those historical events in terms of believable fiction. However, it would an outrageous conceit for anyone to claim that this was all intended from the original concept; particularly because background detailing has been added over the years - often for the sake of convenience - to flesh-out the central character and situations as much as it is possible within the constricting parameters. Jesus had his disciples, and the Doctor's companions are not too dissimilar in their motives. No matter how they come to be TARDIS crew members they soon realise the Doctor always struggles to do the right thing (not always the lawful thing) and will not turn his back on a situation where he can make a difference. In fact, the Doctor will protect his travelling companions with his life, never hesitating to make decisions of self-sacrifice when warranted. Jesus demonstrated the greatest sacrifice of them all; so too the Doctor. After all, the act has the same importance whether it be on behalf of one or many. Perhaps the best example of this is when the fifth Doctor and Peri contract the fatal disease Spectrox Toxaemia. 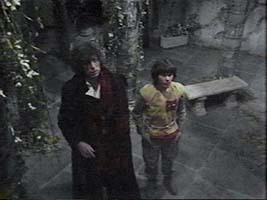 The Doctor struggles in a weakened condition to the lower levels of the caves to obtain the bat's milk antidote, but only recovers enough for one person; Peri is his first consideration. For the fifth time the Doctor regenerates. However, there was one very different companion. Turlough was the Judas Iscariot of the Doctor Who world, betraying the Doctor's trust and in this case even attempting to kill him several times. Turlough was found to be under the influence of an entity known as the Black Guardian (a case of the Devil made me do it!). This neatly brings me back to the Master, if we can return to his shenanigans for a moment. 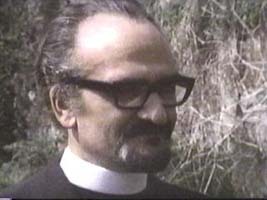 This evil renegade character was originally brought to the programme as a Moriarty to the Doctor's Sherlock Holmes, but he is better suited as a Satan to the Doctor's messiah. In the same way that the Fallen Angel was banished from Heaven, the home of Jesus, the Master is a Time Lord and also comes from Gallifrey, making him conceivably the ultimate living nemesis. He is a perfect opposite to the Doctor, and like the sixth Doctor's adversary the Valeyard, epitomises the dark side of us all. So there you have it, reasonably brief and to the point; the influences (purposeful or not) are there if you look in the right places. Doctor Who borrows from only one place for its theme, making it one of the most original, flexible and therefore enduring ideas ever devised for TV family viewing. In the face of increasing adversity over the years, curiously including dissention in the ranks - or, perhaps, more accurately described as "leading from the back" - it is truly remarkable that Doctor Who has thrived for so many years, albeit nowadays in so many other forms. A miracle? Perhaps. Now all we have to do is pray for its TV return!